Natalia Levina is a Professor at New York University Stern School of Business. Professor Levina is the Director of the Fubon Center for Technology, Business and Innovation. She also teaches courses on Global Sourcing and Open Innovation as well as Information Systems and Organizations Doctoral Seminar. Professor Levina has been with NYU Stern for over than ten years. Prof. Levina's main research interest is in understanding how people span organizational, professional, cultural and other boundaries in the process of building and using new technology. She uses qualitative and quantitative methods and a range of social and organizational theories in her work. She currently studies boundary spanning in the context of open innovation, crowdsourcing, and offshoring of professional services. Her research has been published in ISR, MIS Quarterly, Organization Science, Journal of Management Information Systems, Academy of Management Journal, Decision Sciences Journal, and other outlets. She received two dissertation awards from ICIS and the Academy of Management conferences and best paper of the track award at ICIS (2006). In 2011, she received a National Science Foundation VOSS Collaborative Grant and New York University Challenge Grant to study open innovation and crowdsourcing intermediaries. In 2007, she received the IBM SUR faculty award to study global sourcing. In 2005, she was awarded the prestigious Alfred P. Sloan Industry Studies Fellowship to investigate boundary spanning in the global IT services industry. 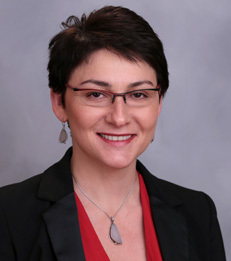 Before joining NYU Stern, Professor Levina worked as a senior information architect at Bremer Associates, Inc. and as an applications systems analyst at PSI International. Professor Levina received her B.A. in Computer Science and Mathematics and M.A.in Mathematics from Boston University. She received her Doctor of Philosophy in Information Technology from Massachusetts Institute of Technology's Sloan School of Management. Information and Organizations (“articles in print” online since March, 2015). ISR, 25(3), 2014, pp. 468-488. Best Published Paper Winner, AOM OCIS Division. An op-ed by Prof. Natalia Levina on the risks and benefits of "multisourcing"